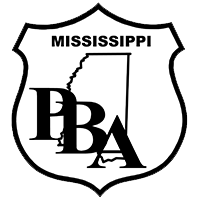 Forty-one JPD police officer plaintiffs represented by the Police Benevolent Association are scheduled to have their settlement checks from the City of Jackson delivered today to compensate them for time that the Department of Labor (DOL) told the City it owed to these officers for work performed from 2009-2011. After refusing attempts by the PBA and its attorney, Jeffery P. Reynolds, to resolve the dispute in 2012 by simply having the City pay the officers the overtime amounts which the DOL calculated were due to each officer, the City is now paying each plaintiff double the DOL amount, plus interest and attorneys’ fees. The settlement totals $177,500. The DOL began investigating the City in 2011 after multiple officers complained that they were being forced to work overtime without proper pay. The DOL investigation resulted in finding that 255 police officers (over half the police force) were owed money. Rather than complying with the DOL directive and paying the officers what they were owed, the City dictated that the officers could only recover comp time, not monetary payment. The officers, though, were justifiably unwilling to concede this point.